Do you regularly send parcels or packages with invoices, letters or delivery notes? If so, then this is the perfect time saver for you. 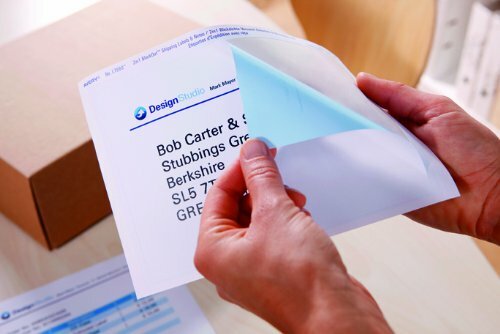 The 2 in 1 Shipping labels are half adhesive label, half standard paper sheet. This allows you to print the label for the parcel and a paper attachment for your invoice - in one go. These parcel labels tick all the boxes! Thanks to the bright white, TrueBlock® label feature they completely cover old text, labels and anything beneath so you can reuse parcels and boxes. Half label, half paper for printing in one go! 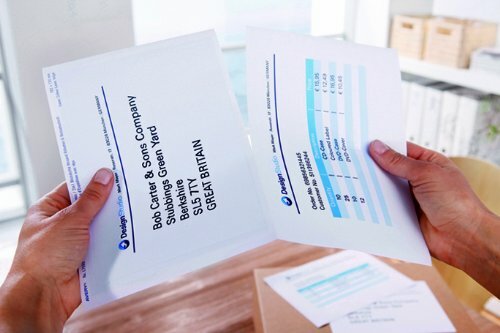 Save time printing shipping label and invoice/delivery note in one go. Opaque TrueBlock® label feature they completely cover old text, labels and anything beneath so you can reuse parcels and boxes. Permanent adhesive - Paper material with perforation.